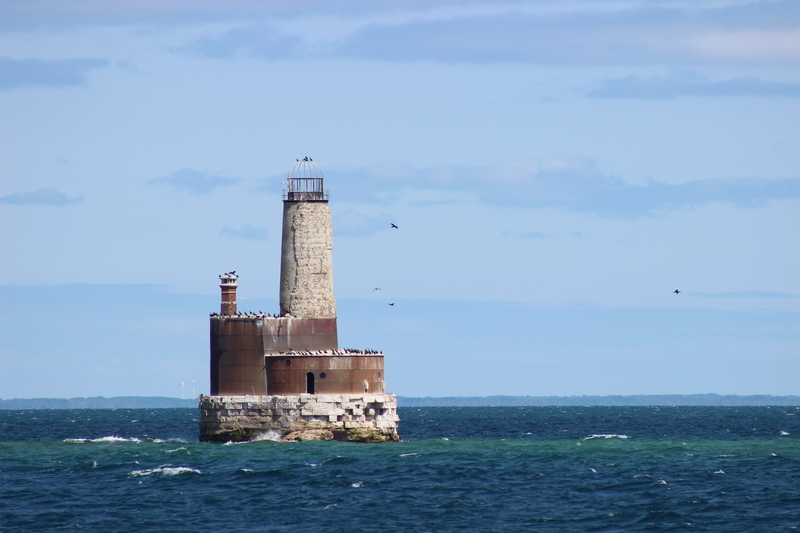 While Michigan is home to more lighthouses than any other state, not all of its surviving lights are easily accessed or still in good shape. 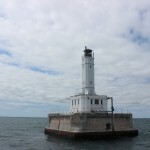 The Waugoshance Lighthouse in Lake Michigan is widely considered one of the state’s most endangered beacons, and the toll time has taken is easily visible to those able to make the trip out to visit it. 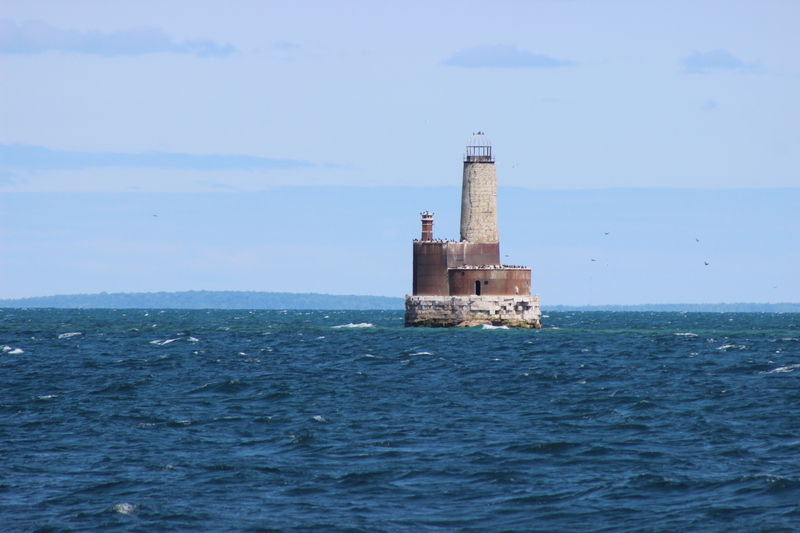 We’ve been fortunate to get to see this lighthouse a few times on Shepler’s Lighthouse Cruises out of Mackinaw City, and were impressed that much of this lighthouse is still standing given its history. 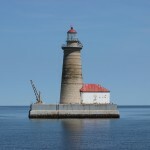 This lighthouse was constructed in 1851, replacing a lightship that had stood on the shoal for two decades. 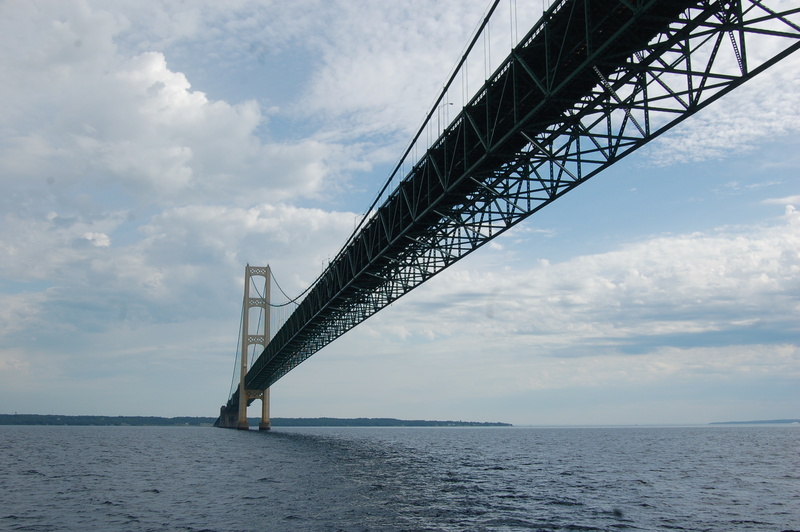 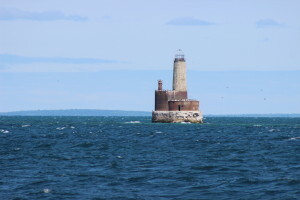 The shoal is located in the area where vessels headed to or from Chicago, Milwaukee and other southern Lake Michigan ports need to make the turn to or from the Straits of Mackinac. 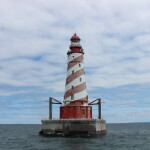 It remained an active aid to navigation until 1912, when the White Shoal Light made it obsolete. The tower of the Waugoshance Lighthouse stands 63 feet tall, with a steel cage at its top. Some interesting facts about the Waugoshance Lighthouse are that it was one of the first Michigan lighthouses completely surrounded by water, as well as that it was one of the earliest uses of a crib structure. 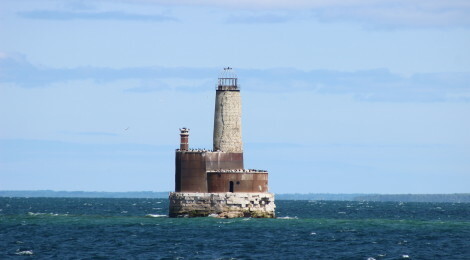 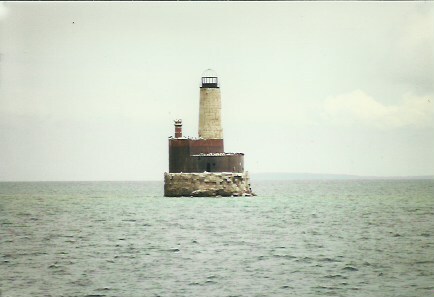 The “bird cage” lantern room is one of only three on the Great Lakes, and the lighthouse was once encased with steel plating similar to Big Sable Point Lighthouse. 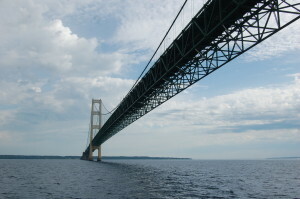 It was also once painted white and red, though today only the Cream City brick remains in a tan/gray color. 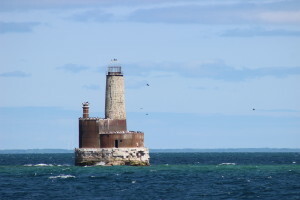 Find out more about when Shepler’s offers their Westbound Lighthouse Cruise, which features a trip under the Mackinac Bridge and trips out to the Waugoshance Lighthouse, White Shoal Light, Grays Reef Light, St. Helena Island Lighthouse and Skilagalee Lighthouse (extended cruise only) at http://sheplersferry.com/cruises/. 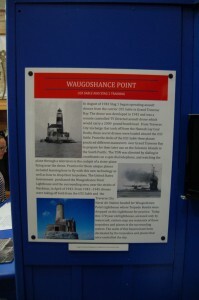 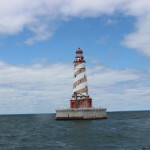 Be sure to also check out the Waugoshance Lighthouse Preservation Society page at http://www.waugoshance.org/about-us/.